Mazda Motor Corporation has announced that all U.S.-specification 2017 Mazda models tested by the U.S. Insurance Institute for Highway Safety (IIHS), including the all-new Mazda CX-5, have been awarded the nonprofit organization’s highest safety rating, Top Safety Pick+, when equipped with optional front crash prevention and adaptive LED headlights. IIHS evaluates crashworthiness with five tests: moderate and small overlap frontal crashes, a side crash, a roof strength test and a head restraint and seat test that simulates a rear impact. In addition, headlight performance and frontal crash prevention by means of auto-braking and forward collision warning systems are evaluated. Mazda models tested for 2017 were the Mazda CX-9, Mazda CX-3, Mazda3, Mazda6 and most recently, the all-new Mazda CX-5. Each received the Institute’s highest Top Safety Pick+ rating when equipped with optional front crash prevention and adaptive LED headlights. 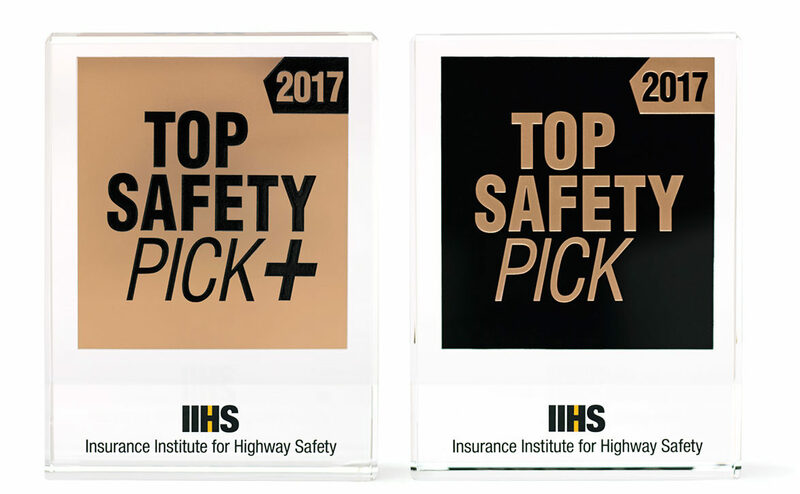 According to IIHS, Mazda is the only automaker out of 16 OEMs to receive Top Safety Pick+ ratings for all 2017 models tested so far this year. The results were possible because all models performed well in the newly added headlight performance category, as well as existing crashworthiness evaluation categories. Mazda’s overarching safety philosophy, Mazda Proactive Safety, is grounded in understanding, respecting and believing in the abilities of the human driver. Based on this concept, and in the belief that enabling the driver to correctly recognize hazards, make judgments and operate the vehicle is essential for safety and peace of mind, the company revised its designs from a vehicle-total perspective. As a result, all new-generation models share a number of features that have proven popular with a wide range of customers. These include a natural driving position and pedal layout that makes driving easier and less tiring, forward visibility that makes it easier to spot hazards at intersections, and responsive and predicable handling in any driving situation. In addition, the i-ACTIVSENSE range of advanced safety features takes a human-centered approach to helping the driver recognize hazards in many of the driving situations they encounter on a daily basis. These technologies include auto-braking to prevent or mitigate collisions and adaptive headlights that enhance visibility at night by automatically adjusting the area and range of illumination – technologies proven to offer good preventative safety performance in the latest round of testing by IIHS. The SKYACTIV-Body, part of the SKYACTIV TECHNOLOGY range, is lightweight for fun driving, yet provides excellent collision safety performance, as IIHS test results show. In developing it, Mazda engineers returned to the first principles of body design and reviewed structures, materials and construction methods in pursuit of the ultimate vehicle body. Mazda aims to enrich people’s lives with cars that are fun to drive and offer outstanding environmental and safety performance, and thereby become a brand with which customers feel a strong emotional connection. The company will continue research into and development of safety technologies that put people first.